Today’s America has become little more than a mob. A group or collective can be as few as two people, or as many as group together in a mass with like thinking or objectives. The most devastating aspect of the mob, regardless of size, is that intelligent thought disappears when crowds gather. This is true whether the group is random or knowingly structured for any specific purpose. 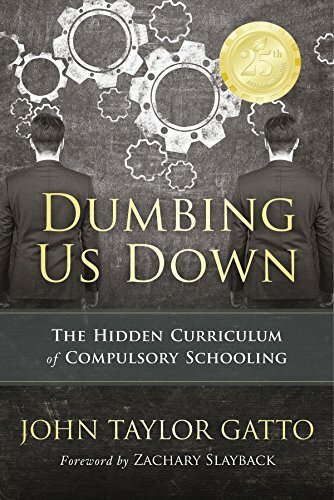 Dumbing Us Down: The H... John Taylor Gatto Best Price: $5.69 Buy New $8.80 (as of 07:10 EDT - Details) One of the major reasons for this is the planned and implemented mind destruction that is evident in the state run “public” school system. It is the tool used to extinguish the individual intellect of the masses at large, thereby creating a society of subservient and obedient citizens. That is the mission it was founded upon, and it has been completely successful in that endeavor. 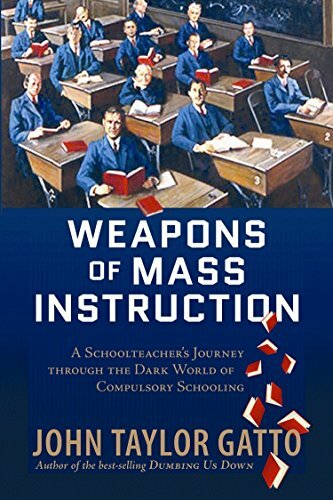 Compulsory schooling is a virtual prison environment, where all are relegated to be a compliant cog in the wheel of the school society. All are bound by the same rules, the same curriculum, and the same mundane structure. The only difference in public schooling and the prison system as I see it, is that the school system preys on children while the prison system preys on adults. This collectivist ideology destroys all order, and creates aggression or violent chaos by pitting the mob against the individual. This is by design. The controllers of the state understand this, and have over time through indoctrination and brainwashing used these government schools to advance collective thought, while shunning the individual and individual thought. This brainwashing of the young by state institutions, and almost from birth, has in large part been responsible for breeding a society steeped in socialism. The mantra of many schools, including those in my town, is “School, community, state, and nation.” The idea drilled into these heads full of nothing is that they do not count. Only the group is special. This of course is backward, but what chance do these children have when their parents have already accepted this communistic mindset, and their obedient “educators” are little more than ignorant complicit pawns of the state. The individual is being replaced by the worship of community. This is a basic tenet of Communism. The basis of this country’s political system, as is the case with all political systems, is that the group or mob is more important than the individual. Once the individual is destroyed, nothing of value remains. Freedom is impossible to achieve or hold when the group has power over the individual. Critical thinking disappears.